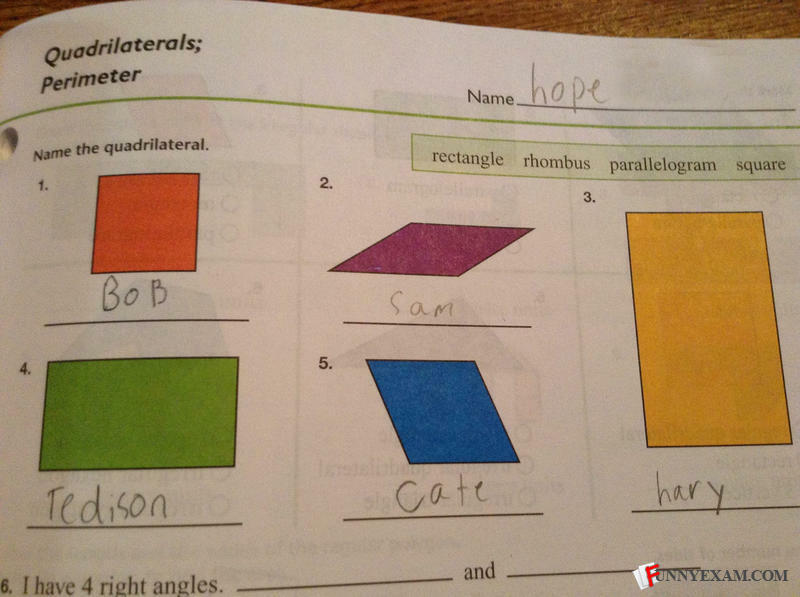 2012 failed presidential candidate: Mitt Rhombus. Oh the irony that the student's name is "hope"
Not even 5 points for creative writing ideas?? Come on, teacher lady! Where is james, the dodecahedron? Technically, that IS the answer to that specific question! Hary, why are you so big? "I shall name him, Tedison"
Tedison, the quintessential gentlerectangle, sets out about his day. dont you mean thomas was alone? Bob is at square one in this friendship.